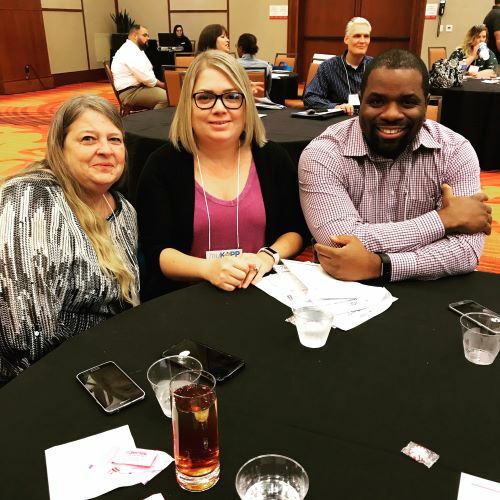 The Waiver Coordinators attended the KAPP conference on September 26-28th at the Marriot East. This was the 4th annual conference and this year’s theme was Mission Possible. The Waiver Coordinators attended several interesting breakout sessions regarding Guardianship, Medicaid Eligibility, Preventing Burnout, Stable Accounts, and Technology Enabled Supports. Path Forward of Kentucky is a proud member of KAPP, which stands for Kentucky Association of Private Providers. 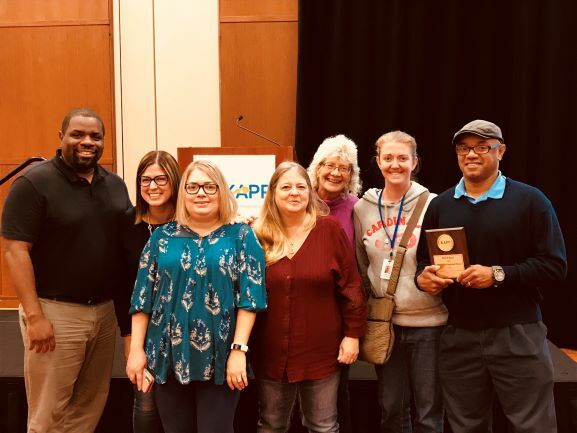 On the last day of the conference, KAPP host an Annual DSP Celebration Award Ceremony. It is everyone’s favorite event by far because you get to see and hear about the amazing work done throughout the state by DSP’s! Path Forward’s FHP Butch Bene was honored as 1 of 8 Distinguished DSP Award winners! Butch is an outstanding DSP, who consistently goes above and beyond by thinking outside of the box. It is an honor to have Butch Bene as part of our Path Forward family. He truly exhibits the PFK Way and we could not have been more proud to celebrate Butch at the Award Ceremony.